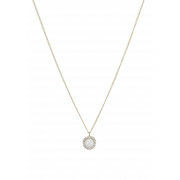 Treat yourself or a loved one to this amazing and fabulous designed Dyrberg Kern necklace. 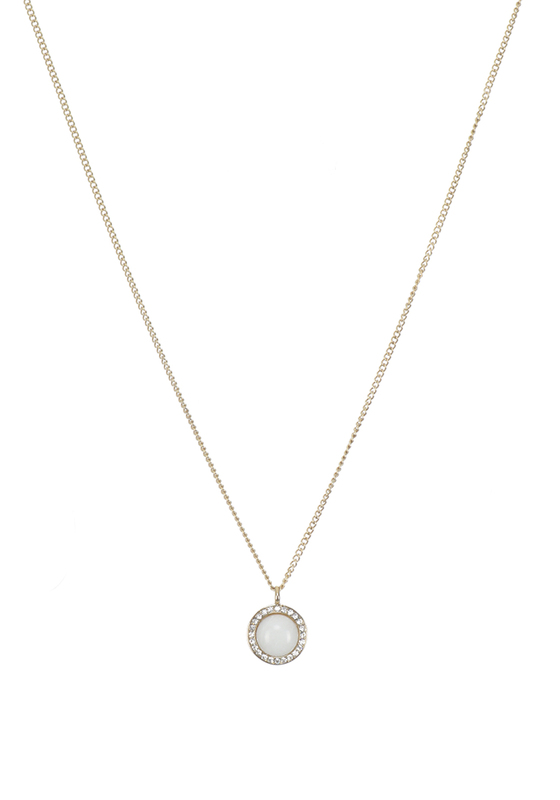 The necklace is a fabulous gold chain that holds a pendant that will sparkle under any light. Encrusted with a white semi-permeant Jade stone that is surrounded by white facet cut crystals this necklace screams designer. Matching items available.